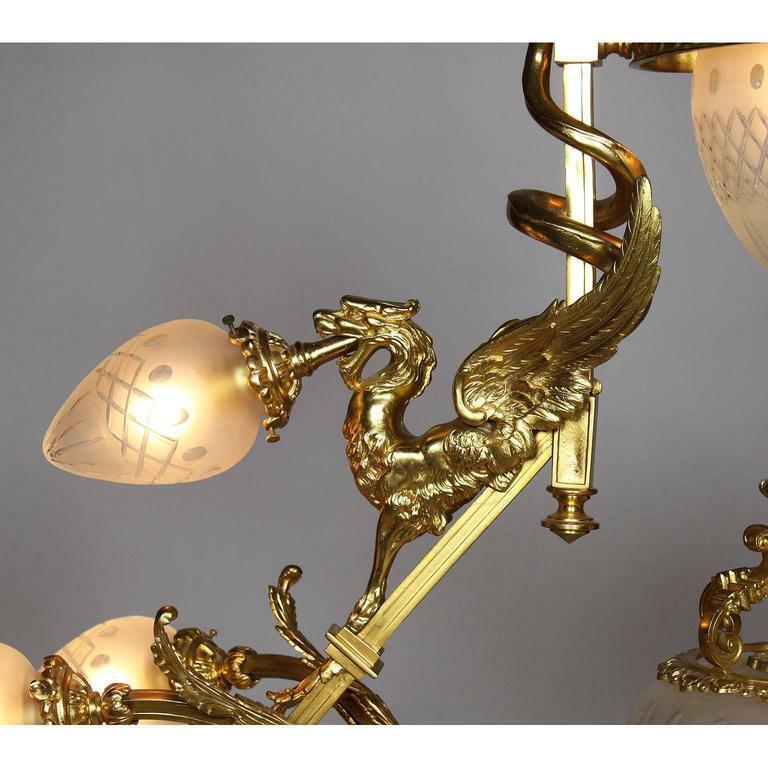 A very fine and rare French Belle Époque 19th-20th century neoclassical revival style gilt bronze and frosted and cut-glass "Lyre" ten-light figural chandelier with Winged Griffins, male masks and centred with and edged glass and ormolu-mounted dome, Paris, circa 1900. 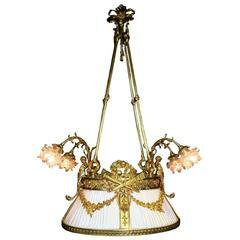 Measures: Height 56 1/4 inches (142.9 cm) Width 44 inches (11.8 cm) Depth 18 inches (45.7 cm). 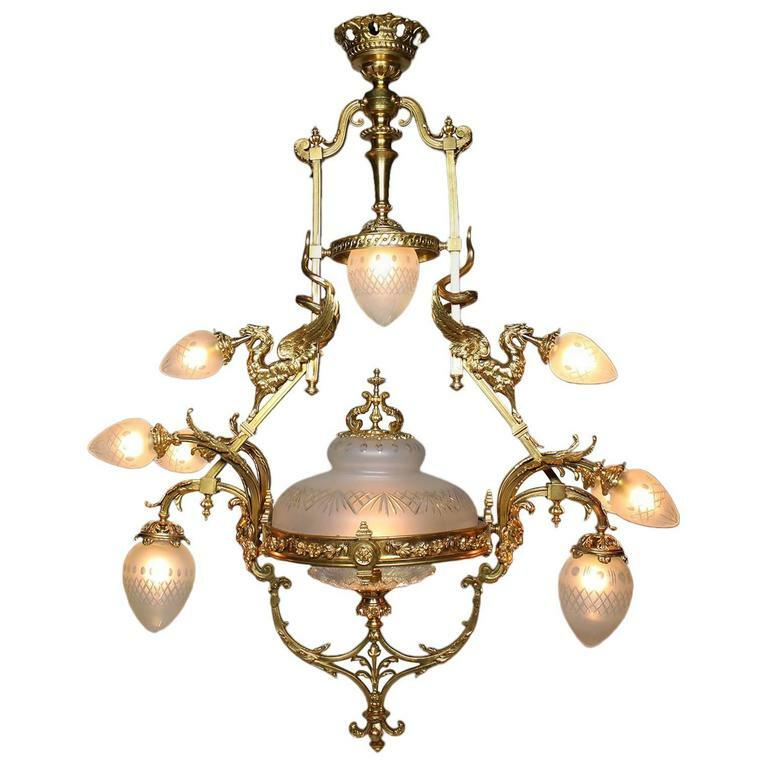 A beautiful and rare chandelier. 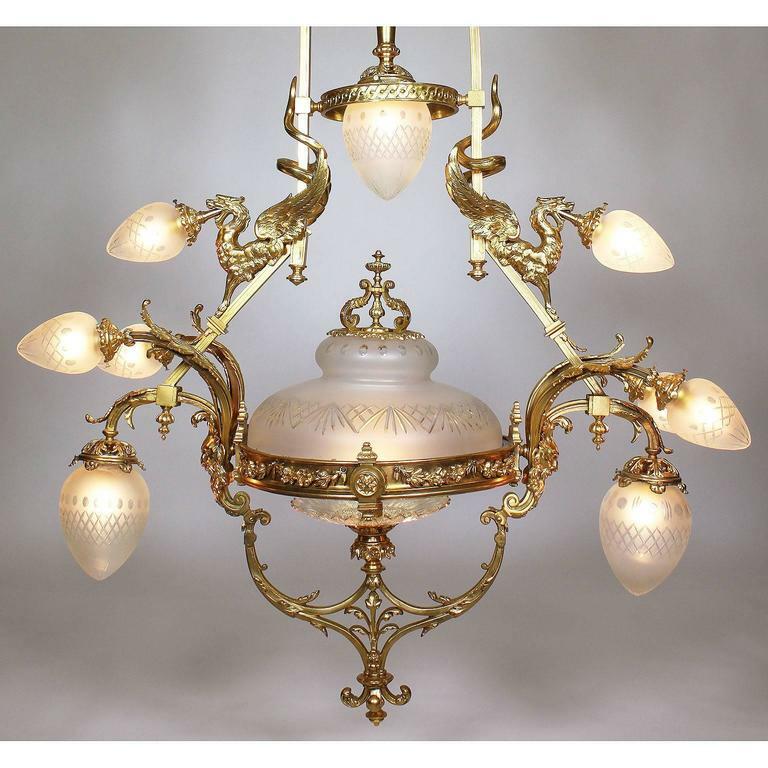 The neck of small sunburst glass plate at the very bottom of the chandelier, where the screws hold it in place, has a minor loss but it is not visible when installed. 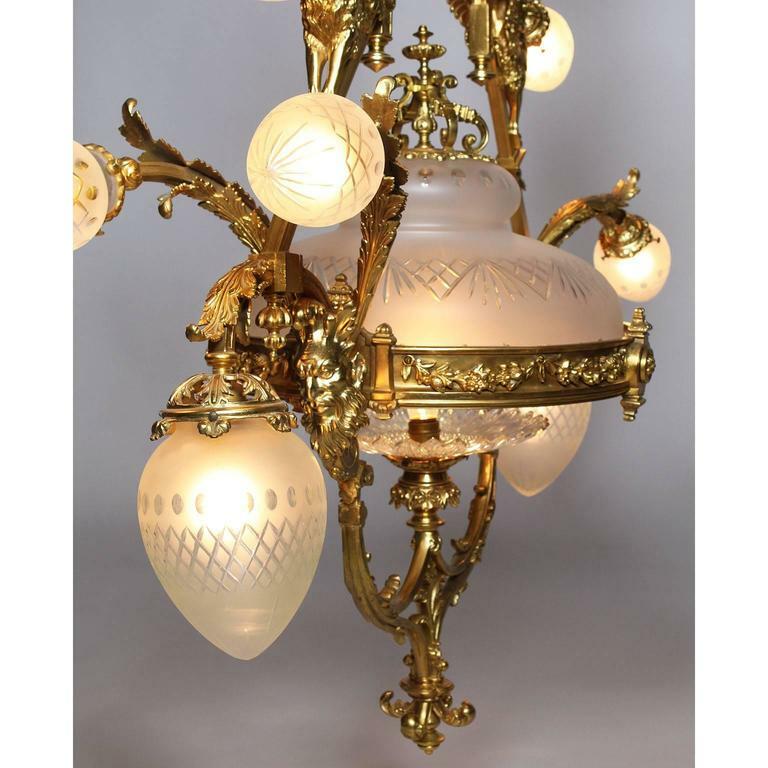 Wiring must be checked before installation..
19th century Swedish neoclassical crystal chandelier --Three tiers --Six arms --Can be French wired at customer's request --Urn form Gustavian style. 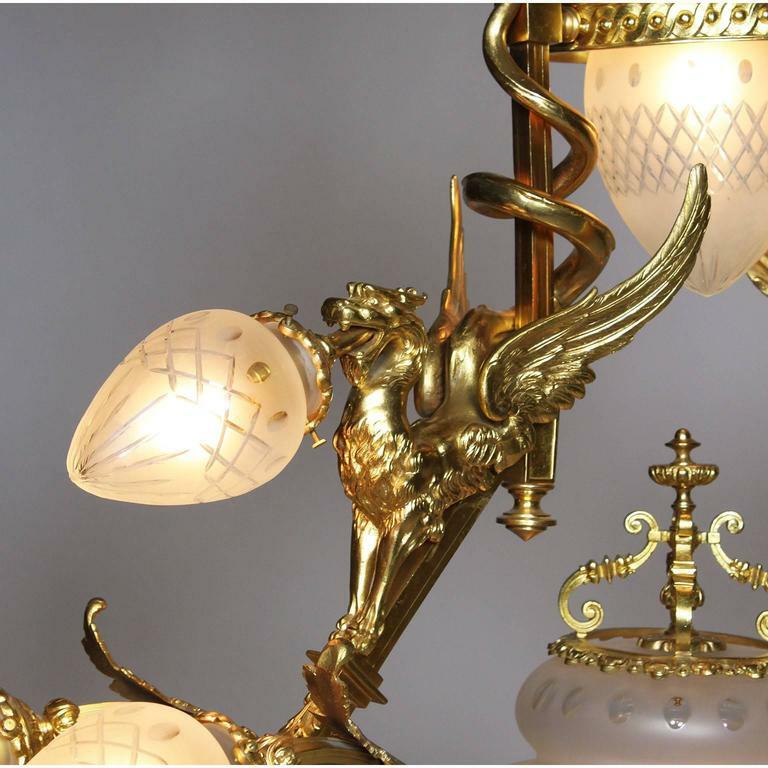 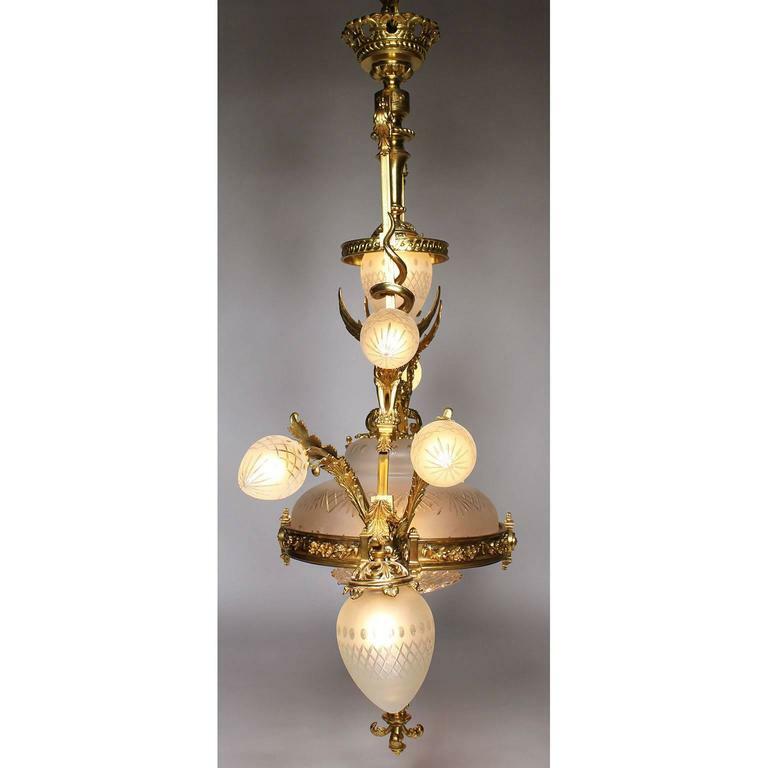 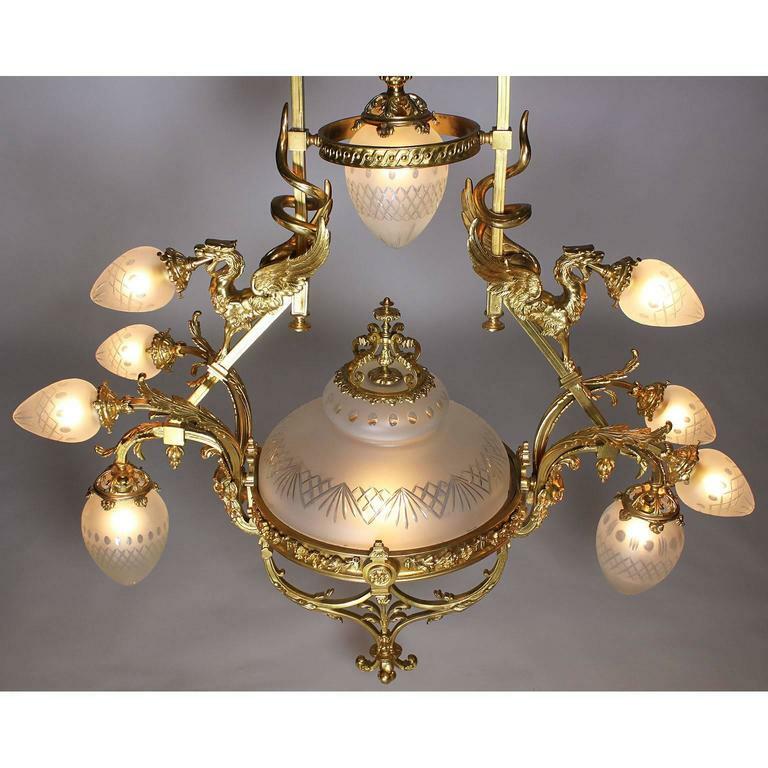 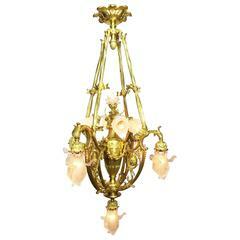 A neoclassical style gilt bronze twelve-light chandelier. 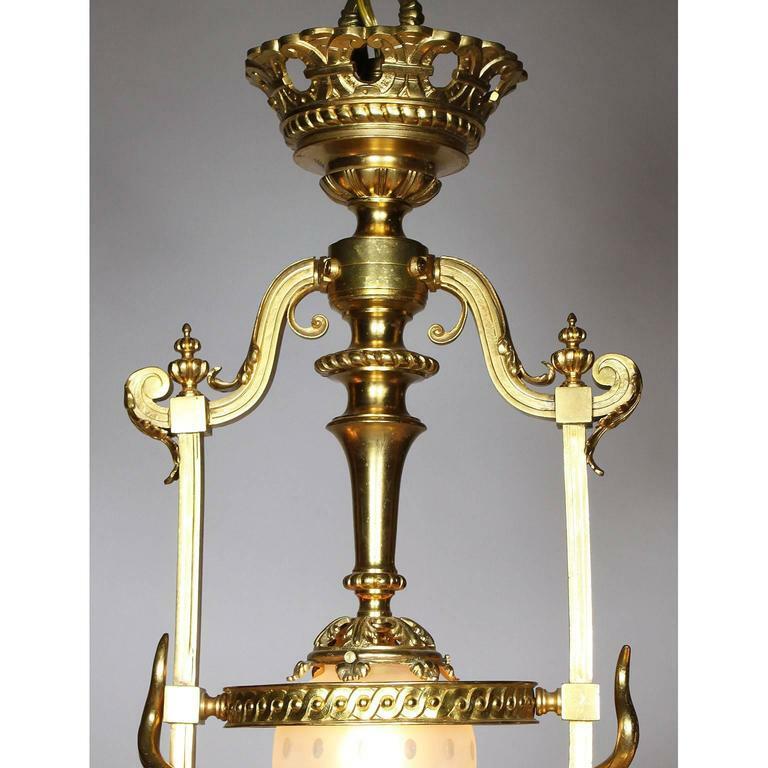 Measures: height 41 x diameter 29 inches. 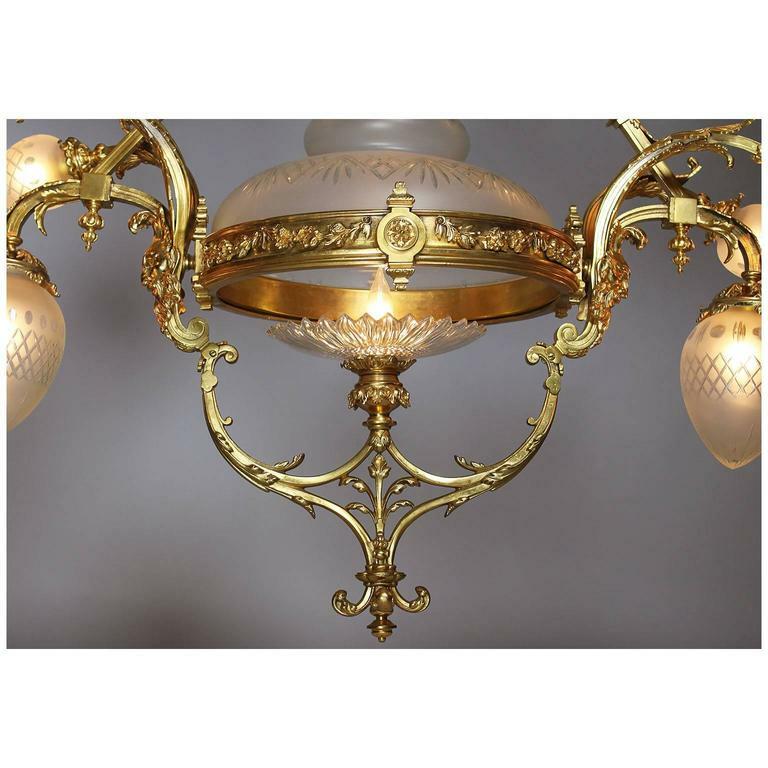 Beautiful view from below. 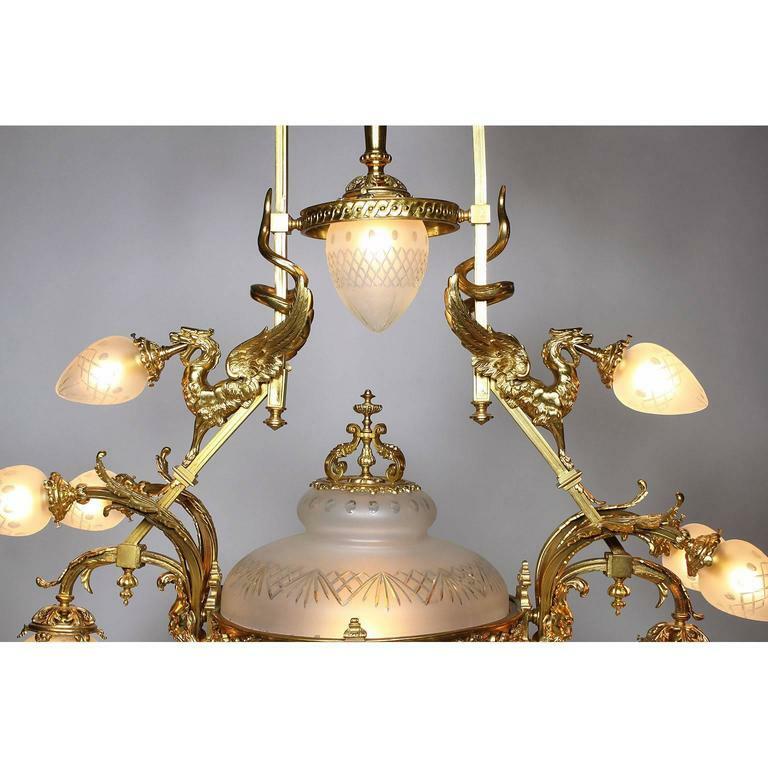 French Louis XV style (19th-20th Century) gilt bronze chandelier with four scroll arms and two cupid mermaid figures on a centre shaft with a scroll top and bottom.